Omar Mateen a 29-year-old American of Afghan descent killed 49 and injured dozens of young people in a gay club in Orlando, and was then killed by the police. This gruesome terrorist attack has no precedent in the US history of mass shootings. Vast class differences, the US wars around the world, the discriminatory policies of the US government towards African-Americans and other minorities, the lack of gun control, and other similar factors, have led to the occurrence of such tragedies in the “most advanced and wealthy country in the world”, which are becoming increasingly common. What sets the Orlando shooter apart, however, is the fact that the he and his family are Afghans. 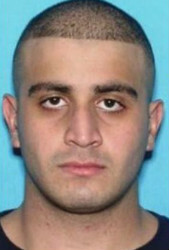 Omar Mateen was questioned by the US authorities about his ties to two Chechen brothers involved in the Boston bombing in April 2013 and he stated at the time that he is a member of Lebanon’s Hezbollah. In 2014, the FBI investigated his possible ties with Munir Muhammad Abu Saleha, a member of the terrorist Al Nusra group in Syria. Yet both times the FBI found that the “minimal” contact between Mateen and terrorist groups posed no danger. Despite this, his name was included in two terrorist lists and he was under surveillance by security agencies. The store that sold him the firearms had also become suspicious of his purchases and reported him twice to the FBI. With every passing day, new details emerge that point to the carelessness of the US authorities towards Mateen. These questions makes one think how the shooter, despite being under suspicion, had been able to continue his work in the G4S security firm (the biggest in the world) and how he could purchase firearms so easily. Why didn’t anyone pay heed to the complaints of one of his colleagues in the firm who said that Omar hated blacks, women, gays (although witnesses do state that Omar was himself gay), and Jews and desired to kill them? Why didn’t the elaborate system of the US investigate the claims of Sitara Yusufi, Omar’s ex wife, who lived with him for only four months and claimed that he was a short-tempered man who regularly beat her for small things such as not having done the laundry? Why didn’t the US authorities care about the inhumane, Talib and Jehadi-like behavior of an American man with his wife? 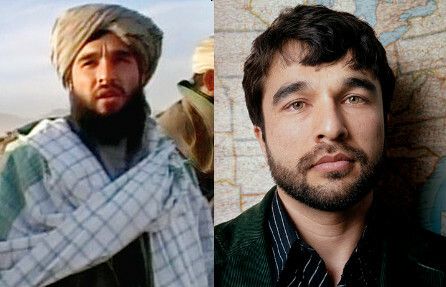 Most importantly, why did Omar’s father, Siddique Mateen, who has claimed to be Afghanistan’s president, escape the investigation of the FBI and other security agencies when he ran programs like “Jirge Durand” (the Durand assembly) from the TV channel “Payame Afghan” (an Afghan’s message) in the US, and openly supported the Taliban calling them “our fighter brothers” who are fighting against Pakistan and the Afghan government? Why has the US allowed Gulbuddini and Talibani TV channels such as “Payame Afghan” to openly propagate and justify extremism? Tens of such questions are running through everyone’s minds. Sayed Rahmatullah Hashemi, was the Taliban regime’s envoy who travelled around the world defending the medieval Taliban regime in international gatherings. Right after the downfall of the Taliban regime, he was transferred to the US and admitted in Yale University for further training as a loyal agent so he could be used in the future plans of the US in our country. The answers to the above questions lie in the truth that the intelligence agencies of the US, especially after the Soviet invasion, had taken thousands of Afghans under their wings to train them so they could be used by the CIA in the future to guard the interests of the US in Afghanistan. Today, we see people like Zalmai Khalilzad, Yusuf Pashtoon, Anwar ul Haq Ahadi, Ashraf Ghani, Farooq Wardak, Omar Zakhilwal, Jawad Tayyab, Hamid Karzai, Rahim Wardak, Omar Daudzai, Nadir Nadiri, Omar Samad, Amrullah Saleh, Wahid Omar, Yusuf Nooristani, Siddique Siddiqui, Assadullah Zamir, and dozens of other people, who are famous spies and traitors and have served as presidents, ministers, ambassadors, advisors, spokespersons, and deputies in the puppet regime for the past 15 years. Siddique Mateen and Omar Mateen were not expelled by the CIA before this crime took place and before Omar swore allegiance to ISIS, because it planned to use these lackeys some day in Afghanistan or Syria or some other ill-fated place. 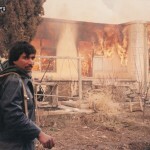 Just like the US and UK did not punish people like Khalil Hashemian, Ishaq Nigargar, Nabi Misdaq, General Rahmatullah Safi, Abdul Malik who is Rashid Dostum’s rival, Siddique Chakari, Bashir Ansari, Omar Khitab, Simin Omar, Qadir Fitrat, Rahmatullah Hashemi and others, for supporting the Talib and “factional” ideology, both in theory and practice, but protected these loyal lackeys to impose them upon our people someday. The US acts with astonishing cynicism shamelessness in this approach. Omar Zakhilwal who served as the finance minister officially mourned Mullah Omar’s death, was involved in financial corruption, and assaulted a Nepali woman together with Farooq Wardak and Wais Barmak. The CIA not only allowed Omar Zakhilwal to continue working as minister, but later appointed him as senior financial advisor to Ashraf Ghani and then the ambassador to Pakistan. Ishaq Nigargar, Omar Khitab, Simin Omar and Qadir Fitrat. It is in line with this fundamentalism-promoting policy of the CIA that today Gulbuddin, one of the filthiest and most infamous murderers and traitors of the past forty years is coming to Kabul in return for a share in power, because this savage criminal has promised the CIA again that he will be the loyal agent of the White House that he was, provided he is given an open hand in committing cruelty, thuggery, tyranny, and smuggling. It comes as no surprise that Zalmai Khalilzad has patted this acid-attacker on the back. It is quite possible that some day Siddique Matin, who shamelessly defended his murderer son in a typical Talib-Jehadi language, will also enter Kabul like Gulbuddin, flaunt his English skills, and get an official position in the government. A new wave of hostility towards Afghans and Muslims has took over the US in part due to the propaganda, but what the US media does not ask is why the US government releases bloodthirsty terrorists from Guantanamo and Bagram prisons to bring misery upon our unfortunate people; continues to support fundamentalist killers and uses them against independence, democracy, justice, and freedom of women in Afghanistan, regardless of the fact that sometimes some of these trained hounds, in an overflow of their Taliban and ISIS-inspired “emotions”, attack the American people as well. Why does the US, under the heavy guise of “democracy and women’s rights and human rights”, use terrorist groups in Iraq and Syria against Bashar Assad? Why did the US first replace the Taliban with Jehadi criminals, and is now bringing back its Taliban stooges for its bigger aims in the region and world? Obama visited Orlando to offer his condolences to the families of the victims, but until the day the US government and its allies support the Taliban, Jehadi, and ISIS elements in Afghanistan, Iraq, Syria, Libya, and other parts of the world, neither will Afghanistan and other Muslim countries be safe from this deadly plague, nor the US and European countries. As Omar Mateen warned, the people of the US will be mourning their loved ones again. It is only and only with the destruction of the war machine, and ending the bullying, reactionary, and fundamentalism-nourishing policies of the US that the people of the world will be freed from the nightmare of the actions of religious fascists. 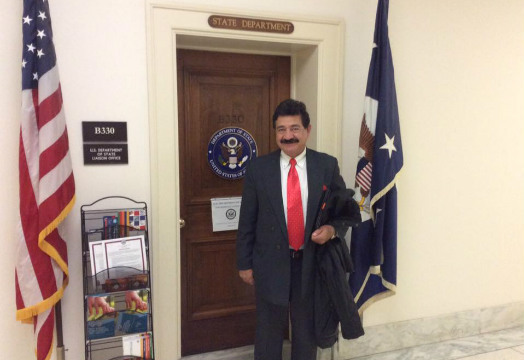 Siddique Mateen, Omar Mateen’s father had close relations with the State Department and some members of the US congress. 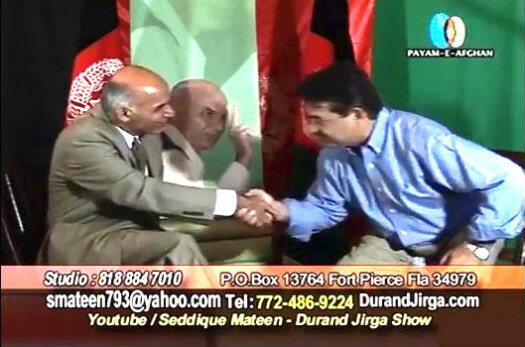 Siddique Mateen ran a show called “Jirge Durand” from the reactionary TV channel “Payame Afghan” which, according to the US media, was funded by the Dari branch of the US government’s Voice of America.